Let's be fair, traveling in a group of 30+ travelers (not to mention 49) isn't the best option out there. Why? Because waiting around for the whole large group to gather, settle in transport at each stop, move from place to place during a city tour all takes time, extra time of your personal vacation spent for no reason. We believe our clients deserve better and this is exactly why we've narrowed down our maximum small group tour size to 14 people (guaranteed). And as for guided city tours, isn't it better to discover a city in a petite group rather than as part of a large crowd? Our years of travel planning experience let us speak confidently, touring a city with a professional guide in a small group provides a more personal approach, a friendly ambiance and leaves a better overall impression. We hand-pick guides that accompany our tourists and always add all of the must-see sights to the tours so that nothing extra needs to be paid to see the simply unmissable attractions. Plus we give our travelers enough time to explore a destination on their own after planned city tours, there's no rush and each person can spend enough time doing what they prefer in every city. A tour abroad that includes many cities isn't supposed to be an exhausting experience. We reviewed an analogous program by Trafalgar with the same number of days. 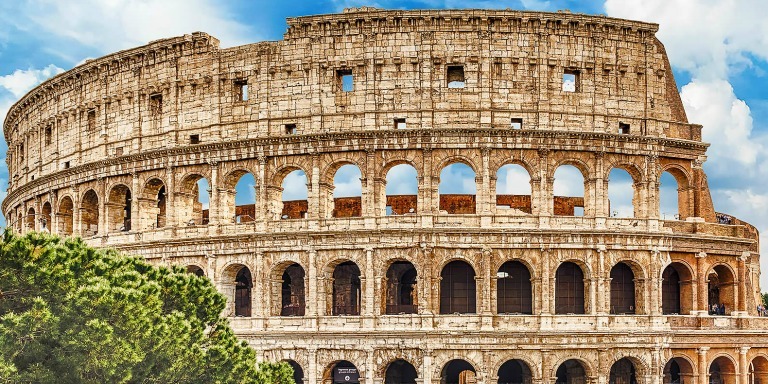 Their program suggests twice as many cities for a lower price, yet travelers spend a lot of time on the road, check-in and out of hotels almost every day, and unnecessarily loop Italy while driving from major cities back and forth on a large tourist bus. Our professional in-house logistics team makes sure to plan out every detail of the trip conveniently. That said, when buying our tour you get no illogical routes and connections, no tiring transfers and no big tourist coach buses. We include varied transportation, such as transfers with private drivers and tickets to high-speed trains, to ensure our clients travel in safety and comfort as well as to decrease the travel time clients spend moving from destination to destination. Moreover, we don't count the day when you depart from your home country and travel to your travel destination as part of our itinerary (nor your overnight flight) as proposed both by Go Ahead Tours and Gate 1 Travel. This means that when purchasing our small group tour, its duration actually is 11 days, starting from your arrival. We always meet and take our clients to/from the airport regardless of their flight time (or delays). In view of this, our travelers don't need to open their wallets wide and spend a lot on costly taxi rides nor waste hours in the airport waiting for the next scheduled transfer. You can be sure that our representative will meet you holding a sign, take you to your hotel safely and this service is already included in the overall tour price. Further still, each selected hotel you'll be staying at is well rated, 4-star and with a central location close to top city sights, these are among our must requirements for accommodation. On top of that, you can always count on our support and contact us during your trip on our emergency line. We hope this comparison will be helpful and will show you the overall value of our product. We do our best to make sure all of our trips are seamless, comfortable and memorable for our valued customers. Our destination specialists are always happy to help you plan your journey to Italy, so don't hesitate to contact us.